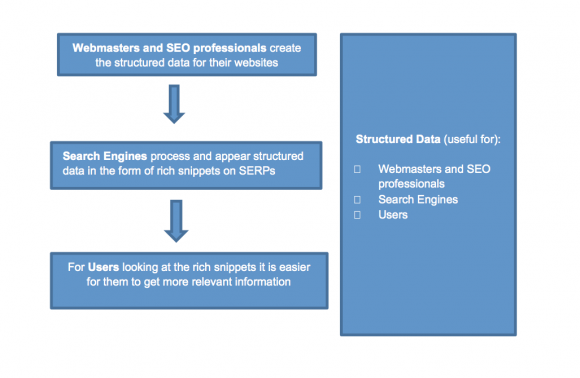 Structured data- whom does it concern? Schema.org It is in a way a vocabulary that allows webmasters to embed structured data on their webpages which will be visible by search engines. This shared markup vocabulary is fully compatible to search engines like Google, Yahoo and Bing. Microdata According to Google ‘’is a way to label content to describe a specific type of information—for example, reviews, person information, or events’’ and Google suggests the use of microdata. Data marked up using Data Highlighter. Data/information that make more sense. One of the things that search engines are working on and constantly they get better and better is the relevancy of content that they retrieve for users when they perform a query and thus structured data is one step towards that direction with the appearance of rich snippets on our SERPs. 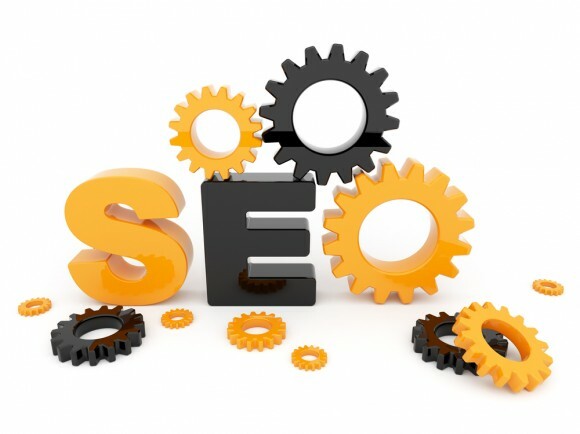 Increased visibility on search engines. So far it has not been proven yet that structured data can influence the rankings on search engine results, but what is self-explanatory is the fact that rich snippets are holding more space on the SERPs. However, when it comes to structured data and how they appear on the form of rich snippets, the users can easily discern the difference in terms of content and that’s why rich snippets bring increased visibility on search engines. As seen in the example below for the same keyphrase, rich snippets appear in the form of ratings, reviews, calories and preparation time. Definitely this plethora of info can gain the attention of users. As a start if we want to analyze not in depth but just to make a first step and demystify structured data, we can use this site and looking through its source code from which we can recognize the rich snippets that appear on SERPs. Initially we define the microdata format within the schema.org which is ‘’Recipe’’ . The 635 reviews appear on SERPs because the itemprop includes the reviewCount attribute which allows webmasters and users to see in the form of rich snippets on SERPs, the number of reviews. The number of calories (396) which appears on SERPs is attributed to this item type: NutritionInformation, based on which the respective itemprop is included and thus it appears on our SERPs. The overall time for preparation which appears as rich snippets on SERPs is defined by this attribute: totalTime , according to the microdata format. So with these simple way (e.g using schema.org) we are able to markup our pages and be easily recognizable by search engines and for users with rich snippets (which is the visual result of our attempt to markup our page). Increased CTR . When users see the abundance of information that is available on SEPRs it is most likely to click on the type of rich snippets that are most relevant to the information that they are looking for. More clicks are most likely to lead to increase number of users which are most likely to convert. Increased ROI. The 3 previous steps are logical paths that can lead to the next sequence, which is increased ROI; users that are able to retrieve relevant content to what they are looking for and by finding rich snippets it is most likely for users to click on the page and it is most likely for the users to spend more time within the website (e.g e-commerce site) and proceed to an online purchase. You need to bear in mind that these rich snippets contain reviews of a product or online ratings which operate as votes of confidence of other users for this product or recipe; thus it is most likely for a user to trust a site with high ratings and reviews and consecutively it is most likely for the user to purchase something online. Having sorted out notions, like structured data, rich snippets, microdata schema.org, the next post will concern concepts and tools like the Data Highlighter and the Structured Data Markup Helper, describing the process of generating structured data using various examples, so that we demystify this field.